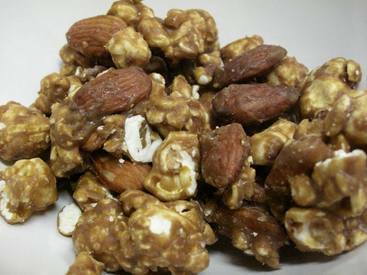 This caramel popcorn recipe makes a unique caramel popcorn enhanced with coffee, lots of almonds and almond flavor plus a gourmet chocolate surprise. I've seen coffee lovers go ga ga over it. What a way to get your caffeine lift!